C1 Health Centre > Chiropractic > “I’ve got sciatica” – well, no, you probably haven’t. It’s been a day of patients coming in and telling us that they have got sciatica. I am now pretty skeptical about this diagnosis. It is used, badly, to describe any pain in the buttocks or down the legs. Unhelpfully, it is also used by patients when they go to their GP. This can lead to the GP accepting the diagnosis without actually checking and then treating the problem incorrectly. How often does sciatica occur? So, because the term sciatica is used so loosely to describe any form of leg pain, estimates of its prevalence vary widely. Some researchers have estimated it will affect up to 43% of the population at some point. I think it is far less prevalent and it’s been a long time since I have seen a patient with true sciatica. 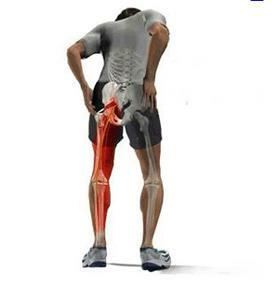 Real sciatica is caused because the sciatic nerve is irritated. 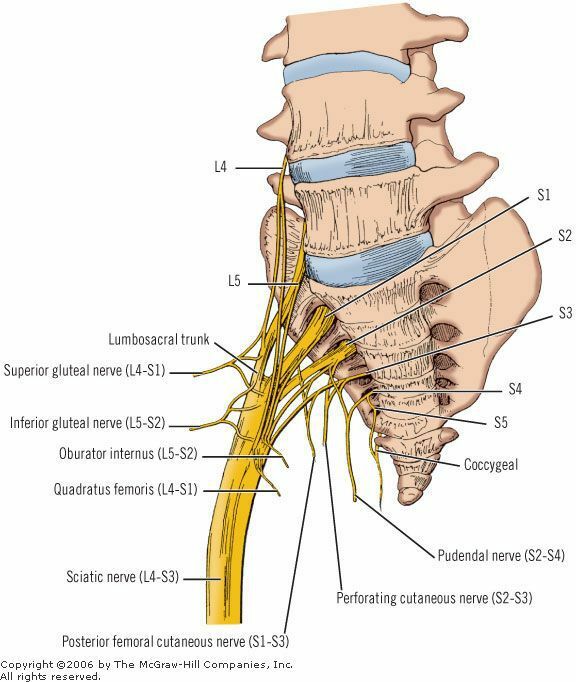 If you check your anatomy books, you’ll see that the sciatic nerve passes from your spine at the 4 and 5th Lumbar spine area. It is also made up of large nerves that come out of the holes on the inside of your sacrum. This is even lower than the lumbar spine. These all then meet up at around 2cm from where the last nerves come out of your sacrum and form the sciatic nerve. These then travel through your buttock region and down your leg. This means that these nerves have to pass through lots of structures that can compress or irritate them. Now, if this does actually happen then you have real sciatica. Constant pain in only one side of the buttock or leg, but rarely in both sides. Pain that originates in the low back or buttock and continues along the path of the sciatic nerve—down the back of the thigh and into the lower leg and foot. It will feel better when patients lie down or are walking but worsens when standing or sitting. Pain typically described as sharp or searing, so nerve-like, rather than dull. A “pins-and-needles” sensation, numbness or weakness, or a prickling sensation down the leg in some cases. Weakness or numbness when moving the leg or foot. Severe or shooting pain in one leg, making it difficult to stand up or walk. Pain and other symptoms in the toes, depending on where the sciatic nerve is affected. Lower back pain that, if experienced at all, is not as severe as leg pain. Symptoms may intensify during sudden movements, such as a sneeze or cough, or when changing positions, such as when moving from a sitting position to standing up. So, what we see is patients with pain in the outer hip area with a referral down the outside of the leg to the outer calf. We also see patients with buttock pain stretching down into the leg but not below the knee. None of these are sciatica, they are something far more common (that’ll I’ll blog about next week! ).